When you drive your vehicle, the parts in your engine create friction and that friction generates heat. 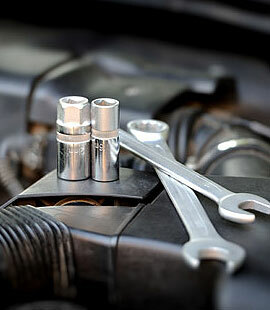 Keeping up with your vehicle’s cooling system maintenance can be challenging. Fortunately, our staff of certified mechanics, specializing in auto repair including radiator flush and radiator repair and can keep your vehicle in proper working order. Your vehicle’s cooling system is what keeps your car from having a meltdown. All of the parts of your cooling system work together to meet one goal: moving coolant around the engine so it can absorb and dissipate heat. Cooling Systems reduce temperatures to help all other engine parts work properly.